Brown Brothers Prosecco is grown in the cool-climate King Valley in Victoria, located at the foothills of the Victorian Alps. It’s a fresh and vibrant sparkling wine that is the ideal accompaniment to celebrations with friends. With crisp apple and pear aromas and a delicate citrus palate its versatility makes it the sparkling of choice for entertaining at dusk, or anytime. 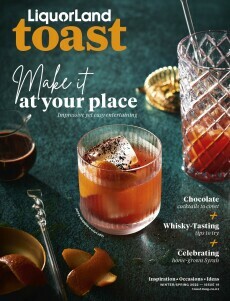 Prosecco can be enjoyed as an aperitif or as a base in a range of delicious cocktails, such as Toast favourite, the Basil French 75 (see below for recipe).